Minister of Youth and Culture, Hon. 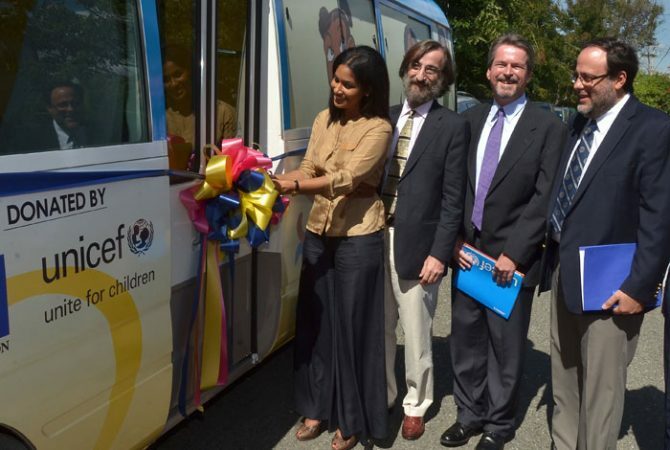 Lisa Hanna (left), cuts the ribbon symbolizing the official unveiling of the mobile mental health clinic for children in state care called “Smiles Mobile”. Occasion was the official launch of the ‘Reducing the Juvenile Population in State-supported Institutions in Jamaica’ programme at the Alpha Boys’ Home in Kingston on November 27. Others (from right) are Minister of Justice, Senator the Hon. Mark Golding; United Nations Children Fund (UNICEF) Representative in Jamaica, Mark Connolly; and Head of Operations for the Delegation of the European Union in Jamaica, Jesús Orús Baguena. Government has ramped up efforts to safeguard the welfare of children in state care and those who come in contact with the justice system. This is through the ‘Reducing the Juvenile Population in State-supported Institutions in Jamaica (RJPSI)’ pilot project. The mobile mental health service will provide psychological assessment and treatment of children. 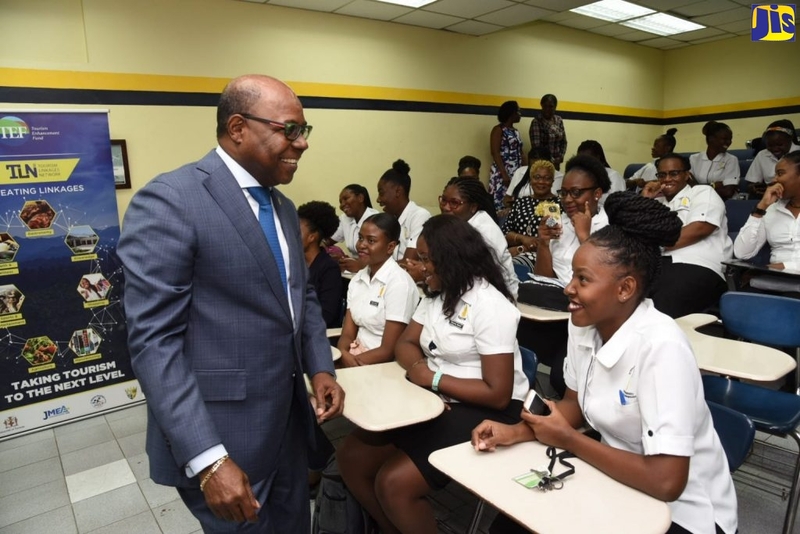 This is through the ‘Reducing the Juvenile Population in State-supported Institutions in Jamaica (RJPSI)’ pilot project, which was launched on Wednesday, November 27, by Minister of Youth and Culture, Hon. Lisa Hanna, at the Alpha Boys Home, Kingston. To run until December 2013, the initiative will benefit some 1500 children across section of the island. It entails two components: a mobile mental health service (Smiles Mobile) for children in residential child care facilities and juvenile correctional centres; and a national diversion programme targeted at children, who come into conflict with the law. The mobile mental health service will provide psychological assessment and treatment of children in Kingston, St. Andrew and St. Catherine, who face such challenges. The services will be delivered by a psychiatrist, two social workers, and a psychologist. Meanwhile, the child diversion component will target children in St. Catherine, Kingston and St. Andrew, Clarendon and St. James, providing them with alternatives to judicial proceedings and incarceration. Minister Hanna, in hailing the project, said it will strengthen existing initiatives geared at safeguarding the welfare of children. She noted that the mobile unit will greatly assist youngsters requiring mental and medical care who may, among other things, encounter challenges getting to the nearest health facility. 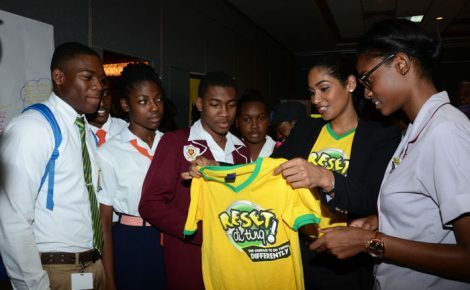 “It makes no sense that we implement policies…but we are not equipping and rehabilitating minds, so this is a simultaneous approach…that will help,” she stated. Minister Hanna reiterated the Government’s commitment to addressing the multiplicity of issues facing children in the country, especially those in state care. She noted that positive actions have been taken, such as the retrofitting of several police stations to accommodate children; removing the ‘uncontrollable behaviour’ label from children; provision of a therapeutic facility; separation of children from adults in correctional facilities; among other measures. Highlighting the importance of the child diversion component of the programme, Minister of Justice, Senator the Hon. 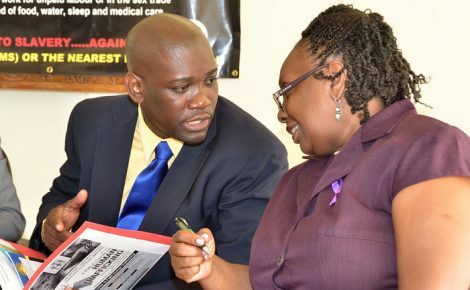 Mark Golding, said it seeks to find appropriate treatments for children, who come in conflict with the law in an effort to divert them from the criminal justice system and its related negative features. Senator Golding said that the Government is seeking to establish a Child Diversion Policy, and the policy document is expected to be taken to Cabinet shortly for approval. The programme is being supported through grant funding from the European Union and the United Nations Children Fund (UNICEF), and is being implemented by the Child Development Agency (CDA), and the Ministries of Health and Justice.